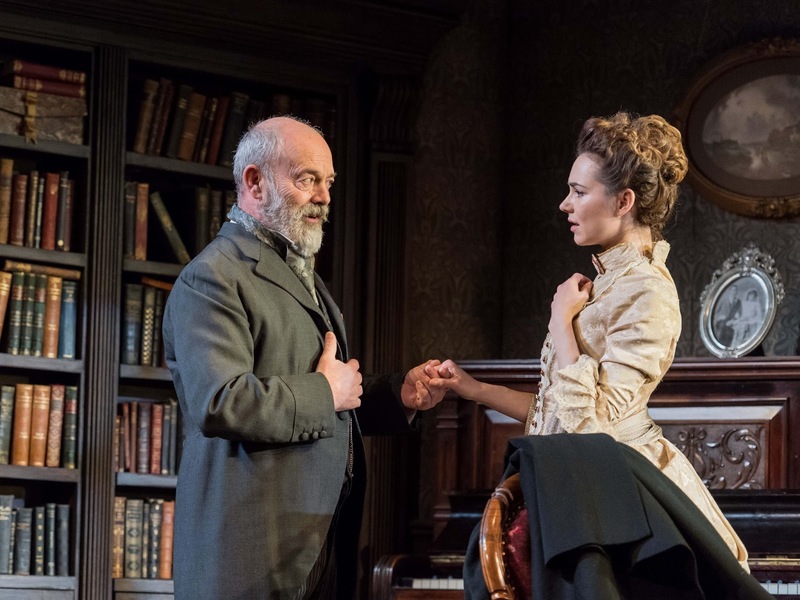 For a play written in 1938, Gaslight feels refreshingly relevant and powerful with its key themes resonating hard. A busy audience are drawn into the world of Bella and cruel mental abuse inflicted (or not) on her by imposing husband Jack Manningham. All the action takes place in the claustrophobic and moodily lit drawing room in the Manningham house complete with secret bookcases and ornaments galore. The set was rich and luxurious and was the perfect setting for this tense and atmospheric play. Music is used sparingly but effectively to ramp up the suspense while never taking focus from the story and performances of a small but strong cast. Kara Tointon gives an assured performance as the protagonist Bella, giving us a performance that you don’t quite know where it will go next. One moment Bella is powerless to her husband’s manipulation, the next she discovers fire in her belly; we live her struggle through this empowering performance. 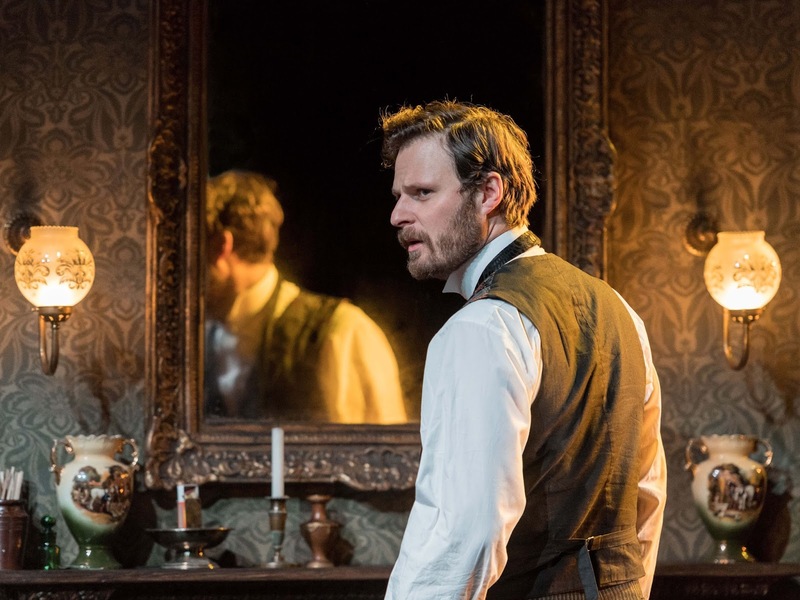 Rupert Young does a sterling job as villainous charmer Jack oozing charisma and malevolence in equal measure. Jack keeps the audience on the edge of their seats with the character seeming genuinely erratic and unpredictable. He’s a man who will seemingly stop at nothing to get what he wants and this makes for fantastic viewing. The real star of this show is Keith Allen as Rough a visitor who turns life upside down for the Manningham’s. 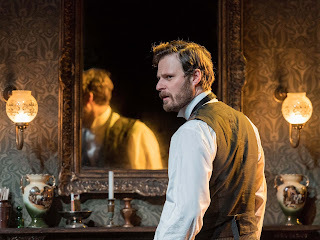 Bringing a flash of comedy at times, Allen lights up the stage and a generally dark tale without taking focus or dismissing the plays serious message. His energy injects pace into a slow start and drives the story to a climatic finale! This was a tight and suspenseful production led by a strong principle cast and complimented by a talented supporting company. 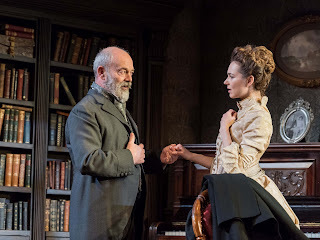 While this may lack the punch of An Inspector Calls (the two are very similar in tone and style), Gaslight is a classy and stylish play with a hard hitting and emotive story. Considering the changes to Domestic Abuse laws in 2015, we should be seeing this for many years to come.